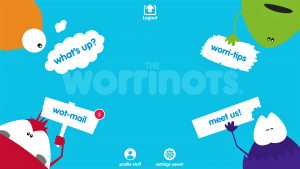 The Worrinots is a ground breaking, award winning app which allows children to share their worries and fears in a fun, safe and controlled environment. 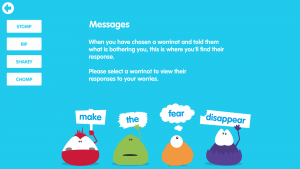 The primary aim of The Worrinots is to provide children with a platform that they can use to communicate their worries, fears and anxieties. 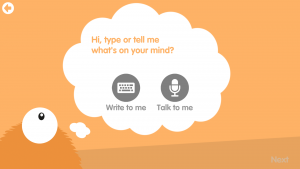 The Worrinots application and characters have been developed with the help of some of the UK’s leading child psychologists to encourage children to share their concerns and deal with them appropriately. 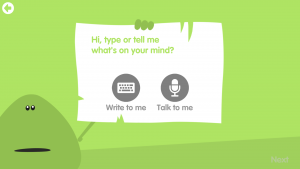 The app features engaging characters, Rip, Stomp, Shakey and Chomp – who through fun and encouragement, enable children to share their worries and concerns. 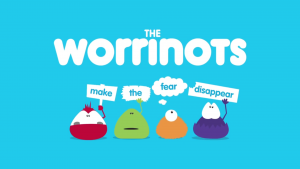 The Worrinots exist to urge children to speak out and manage their emotions and feelings whilst being exposed in a fun way to coping mechanisms. The four fun characters, each with their own individual personalities and guidance styles, ‘respond’ to the children, with instructions of next steps or follow up whilst whilst ‘ripping up’, ‘chewing’ and ‘stomping on their worries!’. 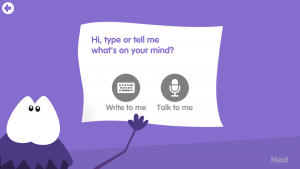 These character conversations are managed by a unique dual platform whereby the Worrinots App is downloaded in two parts – one which is managed by the parent / guardian and the other which is to be put in kids’ hands as a fun app. 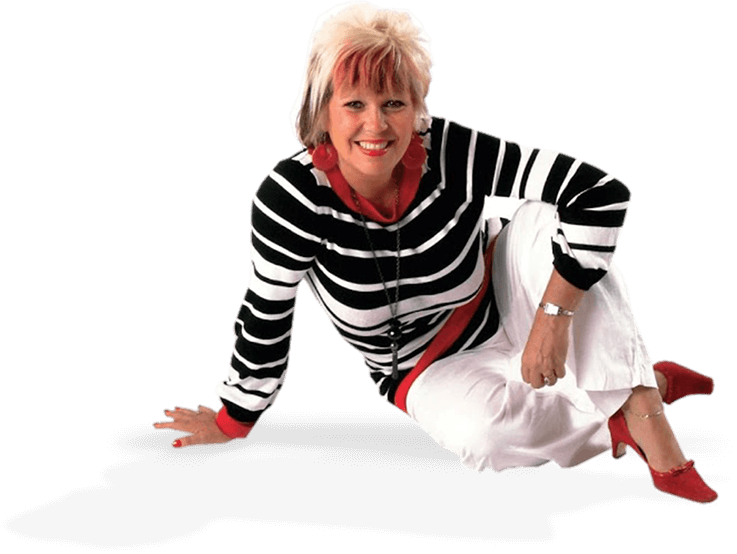 Co-creator Tracy Gladman, has spent 20 years in education and has a real passion for working with and in the interests of, child wellbeing. She has left her teaching career to manage the Worrinots full time. 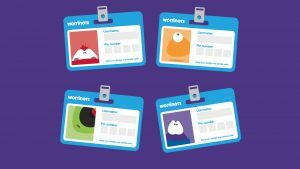 The Worrinots team have worked closely with child psychologists to develop the app ensuring complete safety, security and effectiveness. The app has been cleverly constructed to offer both a safe and fun environment for kids and complete security for parents and carers meeting a very real need of ensuring the happiness and the wellbeing of children. 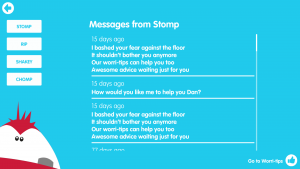 Within the platform are ‘worri-tips’ which provide expert advice about sharing problems and hints and tips for managing concerns however big or small. These age appropriate tips can be ‘switched on or off’ allowing for relevant content depending on the child’s needs. 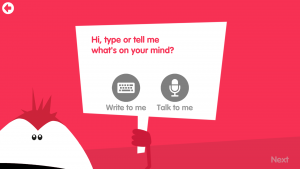 The typical age of active users is children 4 – 12 years and their families and carers, however the app has been designed to flex and suit children of a slightly older age, to cater for those with learning difficulties or even Autism Spectrum Disorder. We recommend this product for helping with the issues raised on this podcast. 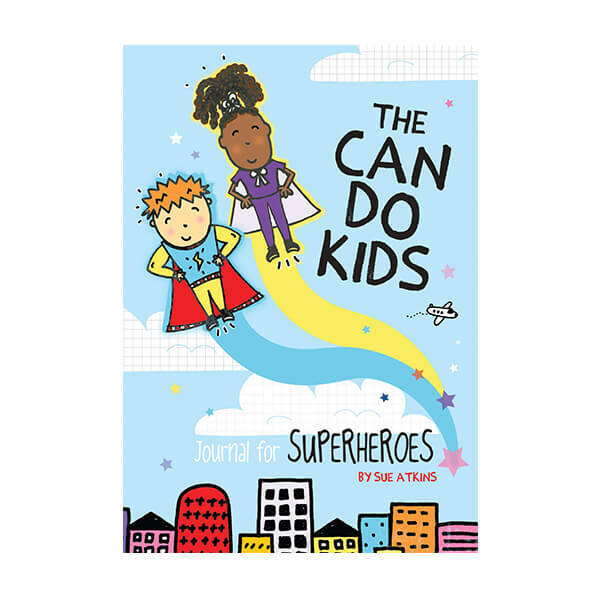 ‘THE CAN DO KID’ Journal for Super Heroes. 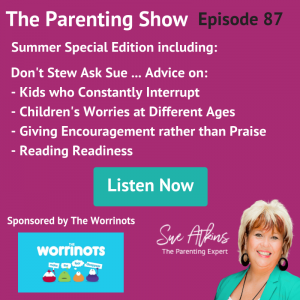 Simply enter your details below to get your very own copy of “The Positive Parent Daily Workout” and learn tips and tricks to use every day with your own children.